All plans include all features and unlimited emailing! No gimmicks - No hidden charges! 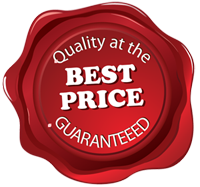 The main reason we have priced this service so low is so it is within everyone's reach. You really have no excuses for not using this service to your Online Success. If you need any assistance for any reason including setting up your account don’t hesitate to contact us. We have the fastest support in the industry and we will make sure your questions don’t go unanswered. You can contact us by using customer online HelpDesk and knowledge base.